Once again it is time for The Beehive’s annual Patriot’s Day message. Patriots Day is an obscure holiday celebrated in just one county – Middlesex – in Massachusetts. In the early years of our nation it was a National holiday but gradually July 4th supplanted a similar celebration. Patriot’s Day commemorates the first battles of the American Revolution in Lexington and Concord, Massachusetts on April 19, 1775 where the shot was fired heard round the world. Having been born and raised in Lexington, the history of these battles was ingrained in me from an early age and later in life would mix with my Freemasonry. Freemasons were prominent that day. While Paul Revere is the most notable Freemason involved, my favorite was Brother William Munroe an orderly Sergeant in the Lexington Minutemen. 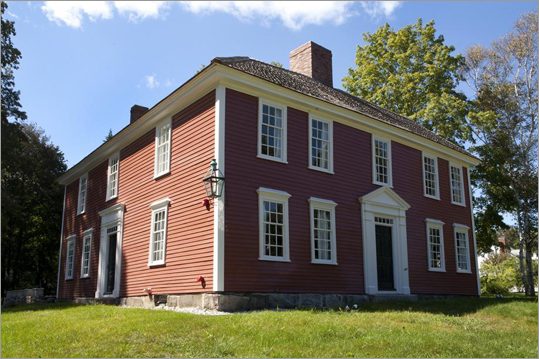 Brother Munroe was proprietor of the Munroe Tavern, one of two taverns in Lexington at that time, the other being the Buckman Tavern at the Lexington Green where the Minute Men assembled awaiting the arrival of the British. He was stationed on an all night watch on the Lexington Green through the night of April 18,1775 into the morning of the April 19th. It was Munroe who received Paul Revere riding into Lexington with the news that, “The British are coming, the British are coming” (although historians are apt to point out that he probably said The Regulars or The Redcoats). Revere stopped at the Reverend Jonas Clark’s house to wake up and warn Brother John Hancock and patriot Sam Adams. Meanwhile Munroe got the word out to Captain John Parker and other Minutemen. They were able to muster some 77 patriots on the Lexington Green to face about 700 British soldiers. Of those 77 some 20+ were Freemasons even though there was no Masonic Lodge in Lexington at that time. When Percy came in with British reinforcements later in the day he took over Munroe Tavern and used it as a command post and hospital. 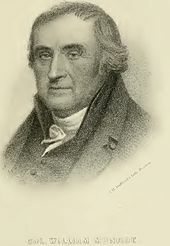 William Munroe was later to petition the Grand Lodge of Massachusetts for a charter for Lexington’s first Masonic Lodge. 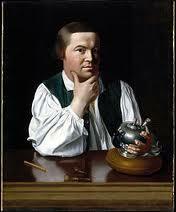 When he took his request to the Grand East he was there met by Grand Master Paul Revere. Hiram Lodge became Lexington’s first Masonic Lodge and Munroe its first Master. The Lodge met for some 40 years at the Munroe Tavern. In 1992 when I joined the Paul Revere Colonial Degree Team that exemplified the Third Degree in colonial costume accompanied by a patriotic message, I searched for a Revolutionary War Freemason to represent as all the team members did. I chose William Munroe. As Master of Paul Revere Lodge in 1999 I took the Paul Revere Colonial Degree Team to Simon W. Robinson Lodge bordering the Lexington Green where once again we exemplified the Third Degree remembering those who fought dearly for the freedoms we enjoy today. Afterward three Lodges that had come together for this special occasion held a Tri Table Lodge. Today Munroe Tavern stands as a historical building just a stone’s throw from the Scottish Rite National Heritage Museum where you can visit their exhibit of “Sowing The Seeds of Liberty: Lexington & The American Revolution.” You can also see the ‘Lexington Alarm Letter”sent out on April 19,1775. 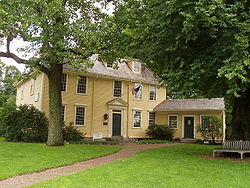 If you visit Lexington visit these two places as well as the Lexington Green and the Buckman Tavern. A great day to go is April 19th, Patriot’s Day. Excellent tribute to our early brethren !